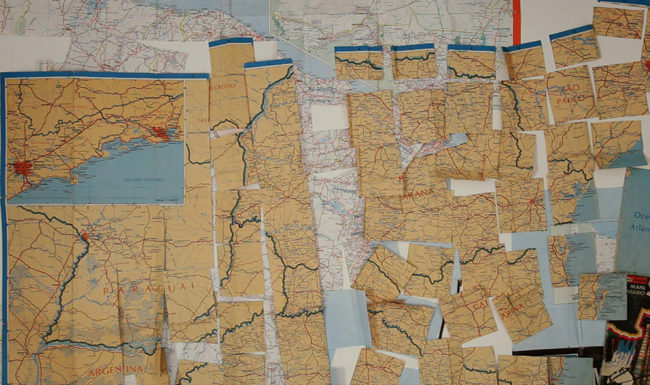 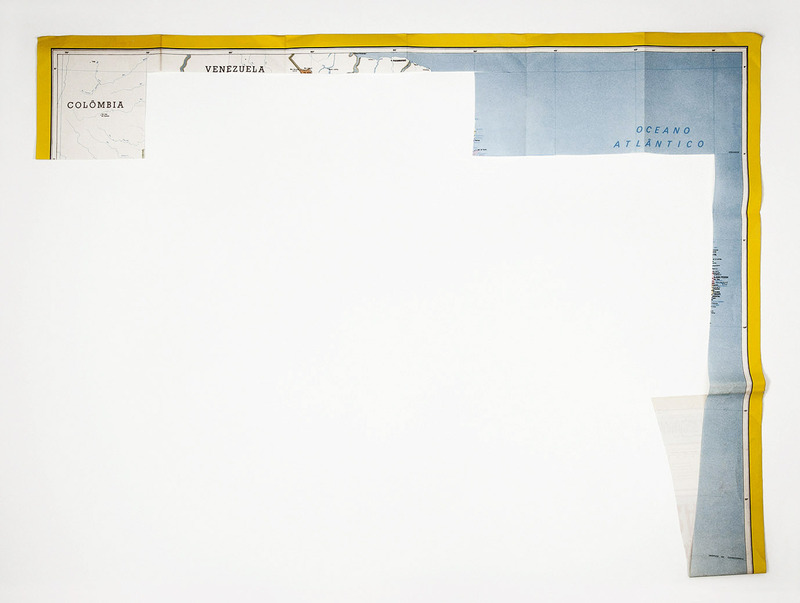 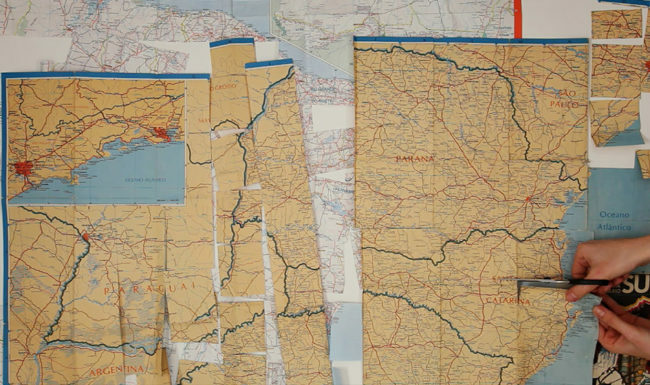 A series of Brazilian maps are cut out following the longitudinal and latitudinal lines. 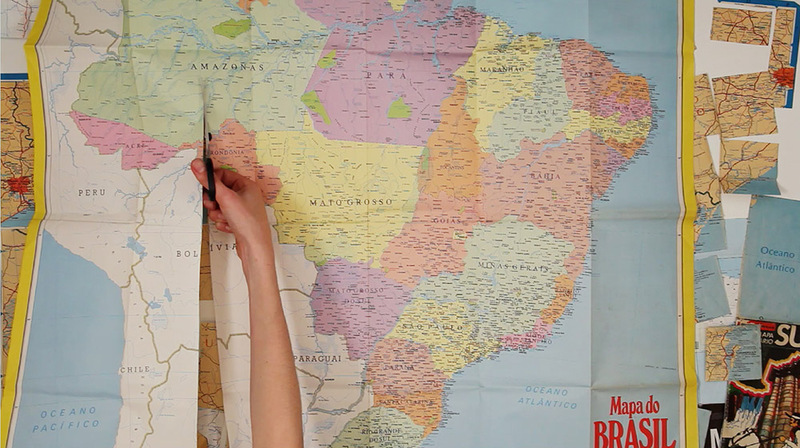 The action registered in the video is a reaction to a Cartesian system that influenced the cartographic representation of the world. 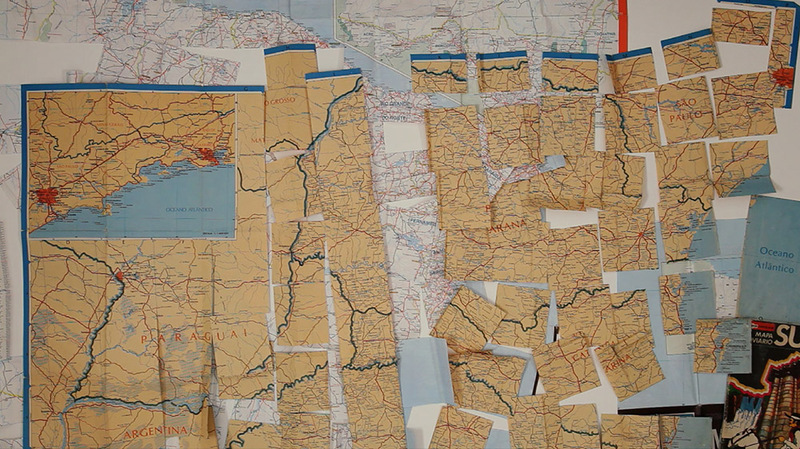 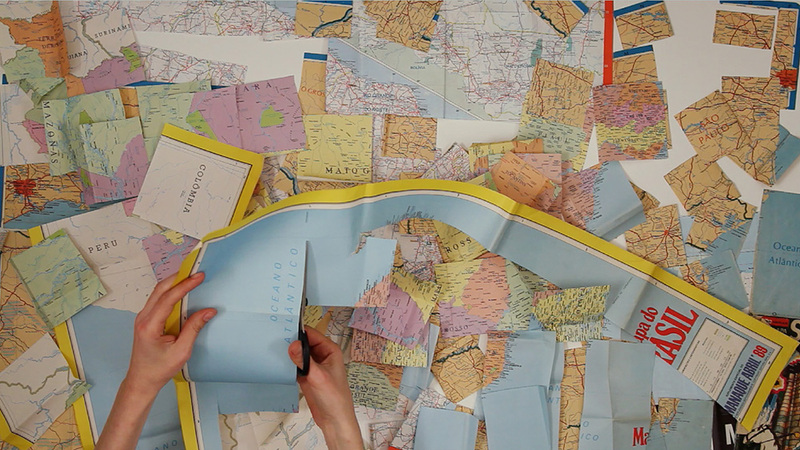 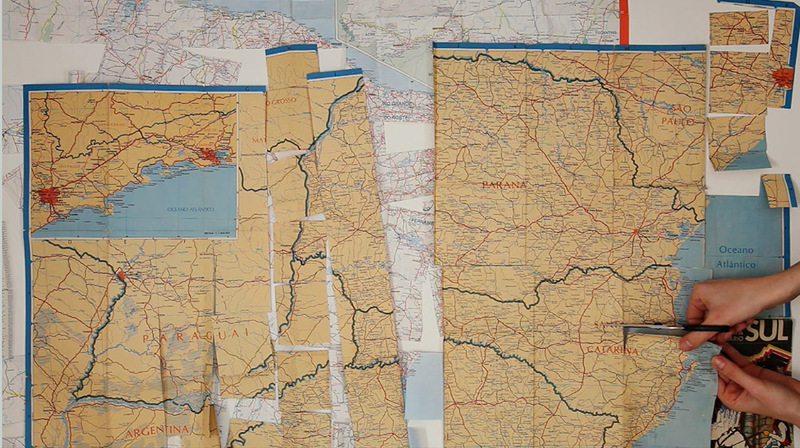 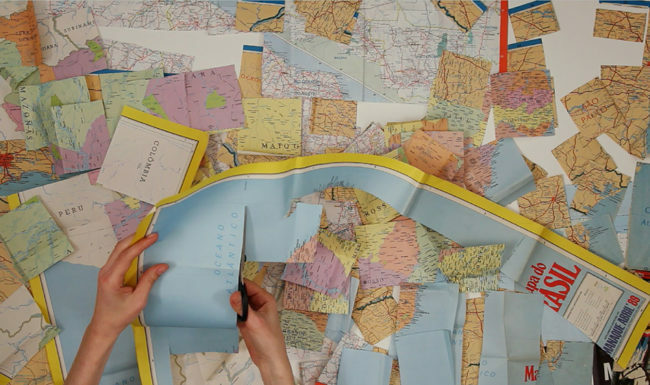 Together with the video, a photograph shows a fragment of a map of Brazil.